Irene Gut was born one of five daughters in a Catholic family in a small village in eastern Poland. She was barely out of her teens when Nazi Germany invaded and occupied her country in World War II. The family had moved to Radom, where she enrolled in classes to become a nurse. She was captured during a roundup of Polish citizens for forced labor by the Germans and sent to work in a munitions factory, where she fell ill. She was then hired to work in the kitchen of a hotel near the Glinice Jewish ghetto in Radom. After witnessing the murder of Jews in 1942, she began to take food from the hotel and smuggle it into the ghetto. Later, at the risk of her own life, she smuggled Jews into the nearby woods and delivered food to them there. In addition, she hid Jews in the basement of her German employer's villa. At the end of the war, she made her way from a displaced persons camp in Russian-occupied Poland to West Germany. There she met William Opdyke, an American worker for the United Nations, and told him her story. After emigrating to the USA, she met Opdyke again by chance in New York City and married him. In 1982, Mrs. Opdyke was recognized by the Israel Holocaust Commission at Yad Vashem as one of the "Righteous Among the Nations." Her autobiography, In My Hands: Memories of a Holocaust Rescuer, was published in 1999. A play based on the book, entitled Irena's Vow, was produced on Broadway in 2009. 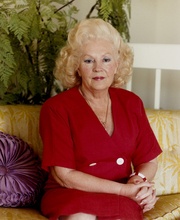 Irene Gut Opdyke is currently considered a "single author." If one or more works are by a distinct, homonymous authors, go ahead and split the author. Irene Gut Opdyke is composed of 2 names. You can examine and separate out names.